Elly - updated story, Ready or not, marry or not? It’s the wedding season now. May be because of my age or some sort of latest fashion, it feels like most of my acquaintances and friends are getting married this summer. It sure is very exciting to know you are going to a wedding party, especially when you know the couple and you know their story and their love. 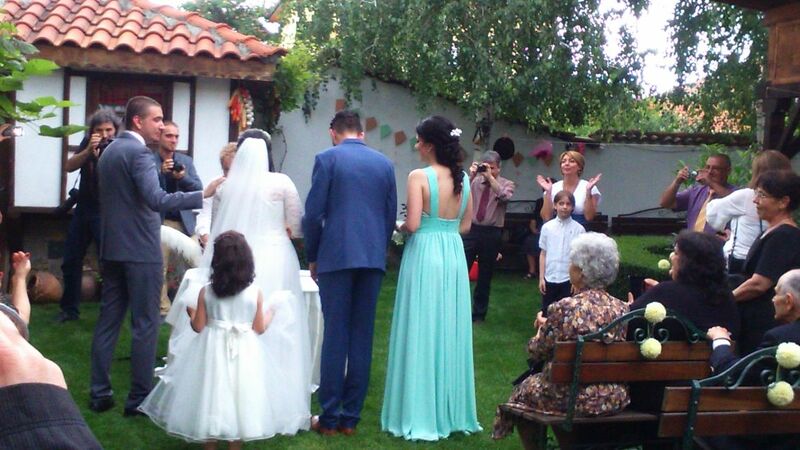 In Bulgaria we have interesting traditions for our weddings: the groom and the bride are splitting a bap bread above their heads and the one with the bigger piece in his hands will be the one with the “louder voice” in the family. Usually the bride is kicking a vessel with water and white and red rose in it. Whichever comes out first of the vessel when kicked /red for a girl and white for a boy/, it shows the gender of the firstborn in the new family. Of course the bride is throwing her bouquet and the groom throws the garter. The weddings are lavish beautiful rituals. Events made to pay respect to the families, friends and of course to attest your love in His temple. But still, are the weddings made for the guests or for the bride and the groom. Honestly I have been feeling sorry at some point for the poor newlyweds. They are going through whole the hustle about the organization, than during the DAY, they are dressed in early morning, than make up, hair, photoshoot, civil ceremony, church ceremony, than restaurant. Unfortunately in the restaurant the action is not over for them, because they have to perform all the games and rituals, to accept congratulations, to receive present. All of these things may sound exiting, but if you have them once at a time not all of them in one day/hour/second. These poor going to be happily –ever-after people are struggling with no water or food the whole day. They are jumping from place to place to fulfill the plan and see the smiley faces of their family and guests. In those moments I am always wondering why do we make the whole celebration. Are we making it because of the love between two people or to pay respect to our friends. Do we need to go through the whole organization stress and preparation, or we can just run away and marry on a lonely island?! Are we going to regret the absence of the friends and family or this is a moment for two? !